After sketching from a Gross Anatomy lab, I took a sketch from a cadaver and refined it, focusing on musculature and the sciatic nerve. 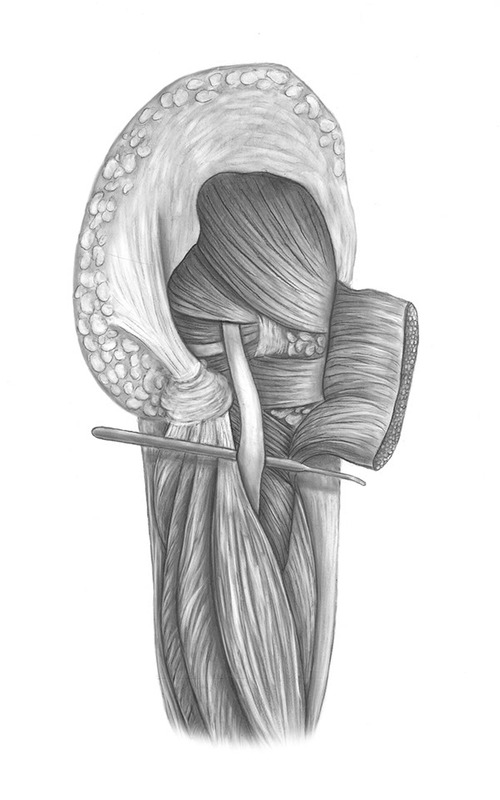 I use carbon dusting to create a gray-scaled, full value piece, and then I colorized the muscles and nerve in Illustrator. 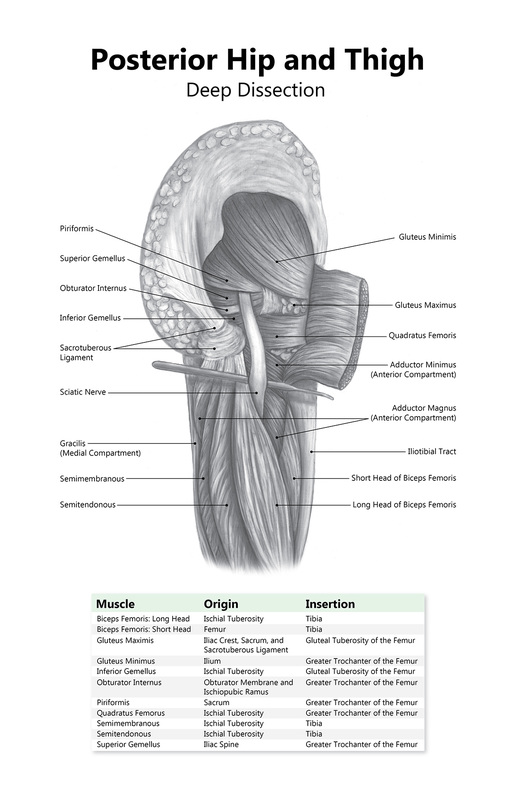 The Origin and Insertion chart is for viewers to learn more information on the muscles.